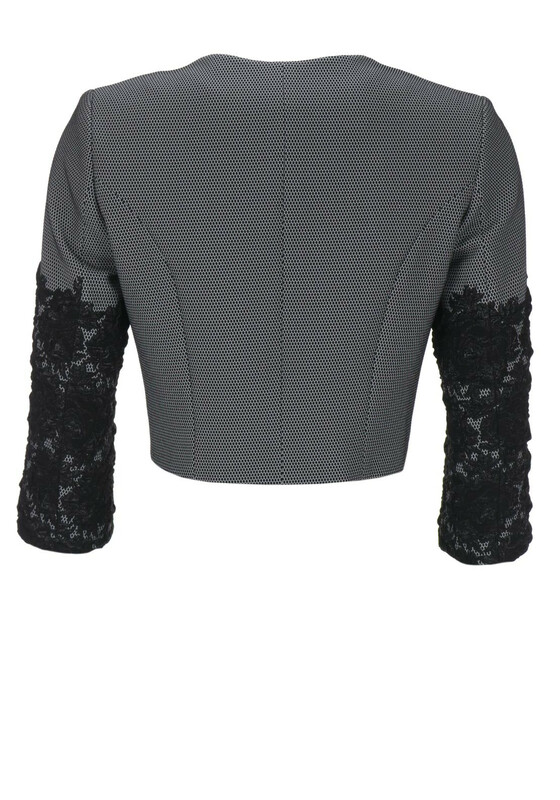 This smart and stylish cropped jacket from Lizabella would be a lovely choice to wear with the co-ordinating dress or a plain black number for an upcoming wedding. Complete the look with black heels. 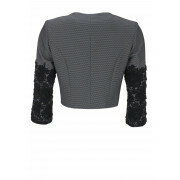 Made from fully lined lightly woven fabric with a diamond pattern throughout and contrasting textured detail on the sleeves which create a floral print. Designed with an open front hem.